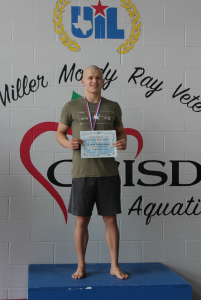 Caleb Dykehouse earned the gold medal at the Region VIII Swim Championships held this past Friday and Saturday at the CCISD Natatorium. His blazing fast 100 fly set a new regional and school record with a time of 50.2s. 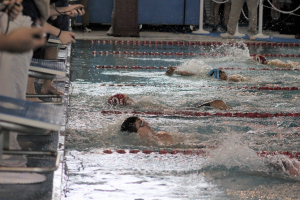 He will also be competing at the State Championship Meet in the 50 free style. 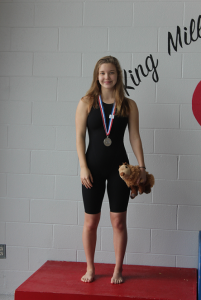 Eliana Dykehouse earned the silver medal in the 100 fly with a time of 1:01.48 and is looking forward to her first State meet as a sophomore in Austin February 15th and 16th. 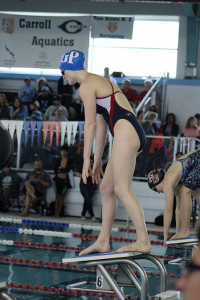 Senior, Elisse Gibbens finished her season with a 4th place in the 100 breast and 6th in the 200 IM. Captain, Johan Geldenhuys finished 8th in the 200 free and 10th in the 100 back. The men’s 400 free relay broke the 2011 School Record with a time of 3:37.25. Members include Johan Geldenhuys, Wade French, Charles Murphy and Caleb Dykehouse. 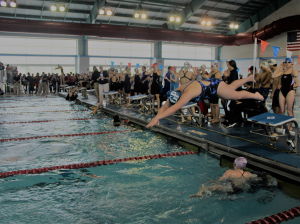 They also earned 8th place in the 200 medley relay. Brittney Sanderlin, Elisse Gibbens, Eliana Dykehouse and Mia Aleman placed 5th in the women’s 200 medley and 7th in the 400 free relay. The water cats were represent by Luka Nelson, Sebastian Lindley, Wade French and Charles Murphy in the 200 free relay they earned 10th place in consolation finals. 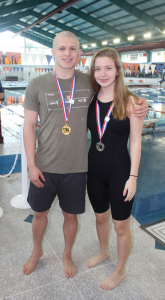 Good luck to the dynamic Dykehouse Duo at the State meet at the University of Texas. You make GP Proud! 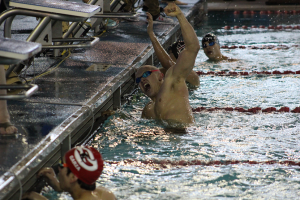 Best technical performance was clearly Senior Caleb Dykehouse for a flawless 100 butterfly.